This visually stunning movie is great for children. It follows the story of a young boy interested in butterflies. He pursues his passion, eventually becoming a scientist who solves a major mystery of the natural world. The film explores not only the incredible transformation of monarch caterpillar to butterfly, but also the unbelievable migration the butterflies take all the way to Mexico. In 3D the butterflies practically tickle your nose! 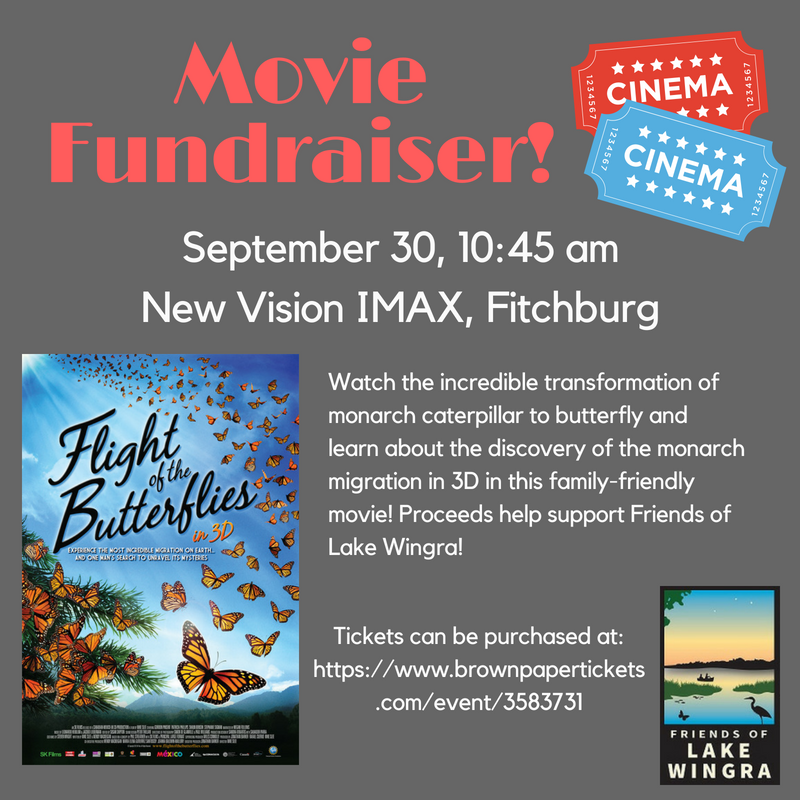 The movie is a fundraiser for Friends of Lake Wingra, a local 501c3 non-profit. Our goal is to improve the health of Madison’s wildest lake, along with the neighborhoods around it. By doing so, we also work to protect important habitat for species like the monarch. Related to monarchs, this year we received a grant from the Natural Resource Foundation to bring monarchs to the classrooms so children can learn about conservation through hands-on experiences!